The rapper has purchased a stake in the Armand de Brignac brand. Rapper and entrepreneur Shawn “Jay Z” Carter has acquired a stake in a champagne brand that sells for $300 a pop, becoming the latest celebrity to enter the profitable and trendy business of alcoholic beverages. 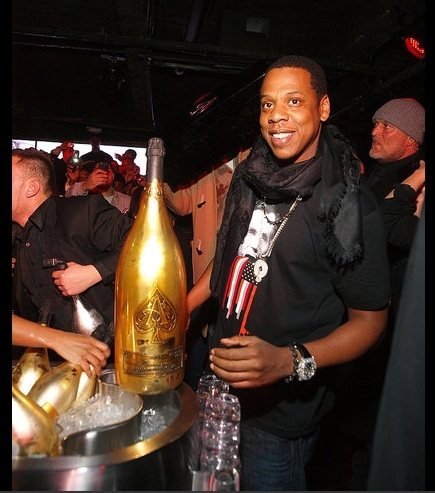 Jay Z has bought a stake in the Armand de Brignac brand, an interest that was sold by New York-based wine and spirits company Sovereign Brands. Terms of the deal weren’t disclosed. The rapper’s relationship with Armand de Brignac has existed since at least 2009, when a bottle of the champagne was featured in the “Show Me What You Got” music video.